Last Friday Visual Studio team has pushed new bits to Team Foundation Service – chart pinning and load improvements. Read details in Brian’s post. This is especially useful on build servers, where build definitions that have not run in a while can take up large amounts of disk space (which is not even cleaned up by build retention policies). Since it is a command-line tool, this cleanup can easily be automated as a Windows Scheduled Task. 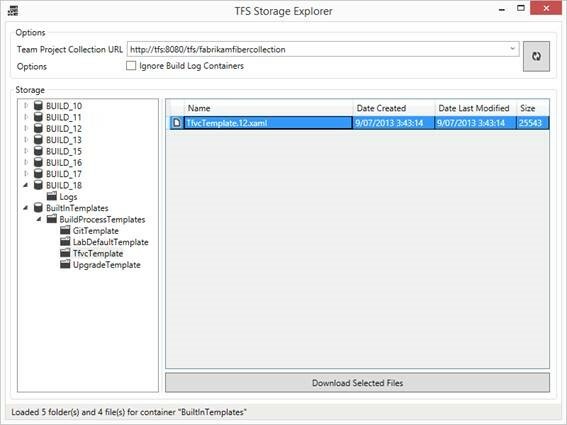 Allows browsing the Team Foundation Server (non-version control) storage for TFS 2013 or above. In case you’re wondering (like me) where the default build process templates are now being stored and what else is stored outside of version control. Willy-Peter Schaub just posted new version of the ALM Rangers Flash. You can learn about updated version of Unit Test Generator, new e-book about building release pipeline, Ranger’s telemetry and more. As it often happens in developer’s life finding of the root cause usually takes 90% of time that needed for solving an issue. Symptoms were very strange – failing unit tests behaved same way like Fakes aren’t running at all. 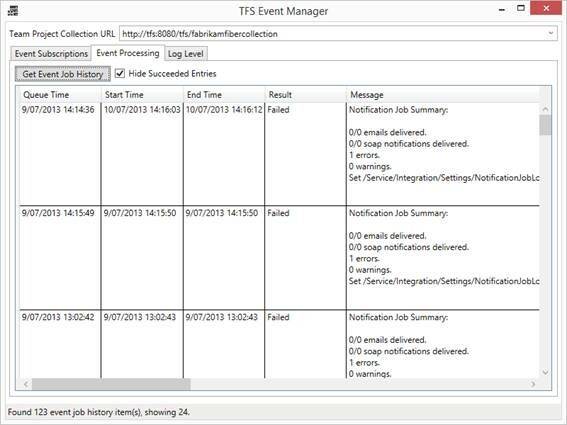 In our case we tested the code that uses Team Foundation Client OM and we had shims to avoid connection to real Team Foundation Server. So, tests are failing because code under test is trying to set up connection to real server. To narrow down the problem I made few tests proving that Fakes are working on hosted team build if I shimming System.DateTime for example. Then I’ve created fresh new test project and put tests of Team Foundation Client here. Obviously, it working fine. Then it took just few minutes to find a difference between initial project and new one. 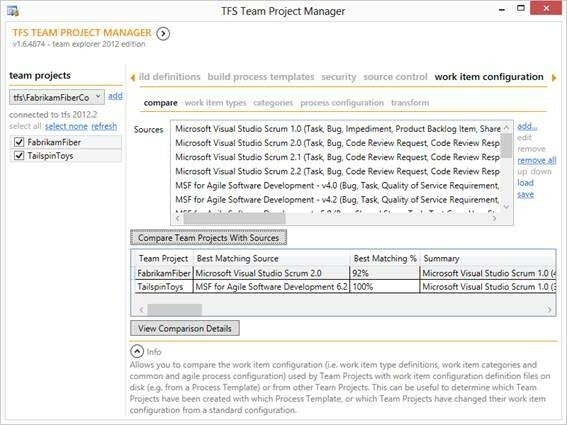 Reference resolution works pretty consistent between Visual Studio and Team Build but not for the Fakes. It appears that Fakes engine resolves references different way when executing via Team Build. It ignoring value of the “Specific Version” option and always considering it as the true. We getting into the trouble as soon as we have newer version of Microsoft.TeamFoundation assembly on the computer. Code under test is compiled with reference to v. 12 of the assembly. Fakes framework is ignoring attempt to load of Team Foundation object model types as it expects v. 11. As result, all shims aren’t working at all. Resolution is very simple – set “Specific Version” option to “True” and use v. 11 assembly explicitly or change reverence to v. 12 assembly if you need fresh Team Foundation object model. Basically, I’m blogging in Russian for more than 3 years already. That was always dilemma for me which language to use for blogging. Historically it was Russian as I want to support idea of reading technical information in native language. I know for sure that many people in our technology in Russia still prefer Russian.